Raydient Places + Properties recently announced that the Sheffield family, the entrepreneurs behind several hospitality and insurance companies based locally and across the state, including the Amelia Island Hospitality Group and Amelia Underwriters, purchased 1.76 acres to develop a four-story, mixed-use building in Wildlight. Within the 42,000 sq. ft. building, the Sheffield family is planning to incorporate a liquor store and bar concept similar to their popular Fernandina Beach location, the Decantery, alongside a restaurant and rooftop bar. 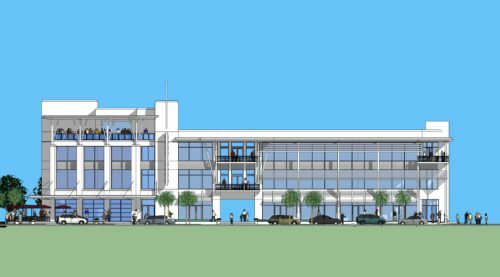 Additionally, the Sheffield’s will also be moving their insurance company’s corporate headquarters into the new mixed-use project’s office space. The Sheffield’s are working with ELM to design the building. The project is on track to break ground in Fall 2018 with expected completion in 2019. For more information, visit Wildlight.com.